Home/Cambridge Springs/Maricle, Boneta “Bonnie” A.
Boneta “Bonnie” A. Maricle, 92, of Cambridge Springs passed away at Wesbury on March 22, 2019, after a period of declining health. 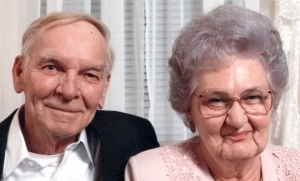 Boneta was born in Meadville on September 15, 1926, the daughter of the late Henry Acker and Millie Donahue Acker. On December 12, 1942, she married Daniel Charles Maricle. Bonnie worked at Wesbury as a cook for over twenty-five years, retiring in 1998. She enjoyed crocheting, gardening, cooking and spending time with her family. She was a generous mother who devoted her life to caring for her family. In addition to her husband, Daniel Charles Maricle who passed away on May 18, 1993, Boneta was preceded in death by daughters: Linda Francisco and Suzanne Dasovich; son, Richard Maricle; and son-in-law, Julius Lester. Survivors include daughter, Deanna Lester of Cambridge Springs; daughter, Janine Colvin and her companion, Louis Williams of Cambridge Springs; daughter, Shirley Crowl and her husband, Gerald of Cambridge Springs; daughter, Edwina Dropik of Cambridge Springs; daughter-in-law, Eileen Maricle of Cambridge Springs; son-in-law, Nick Dasovich of Sophia, NC; grandchildren: Julie Breitfelder, Rick Maricle, Chris Maricle; Leigh Ann Roberts and her husband, Chip; Danni Peterson; Nicholas Dasovich Jr.; Alvey Lester and his wife, Billie Jo; Ann Marie Giles and her husband, Darren; Jessica Lester; George Crowl and partner, Wendy; Ted Crowl; Jane Crowl; Pearl Crowl; Neely Colvin; Stephanie Tomasik and her husband, James; Thomas Dropik; several great grandchildren and great great grandchildren; and son-in-law, Todd Dropik. 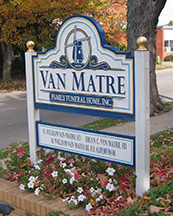 Friends may call at the Van Matre Funeral Home in Cambridge Springs on Tuesday, March 26, 2019, from 2-4 and 6-8 p.m and are invited to attend a funeral service there on Wednesday, March 27, at 11 a.m. Interment will be at Venango Cemetery. I am so sorry for your loss, you have my deepest sympathies know that you are in my thoughts and prayers. Our deepest sympathy to everyone in the loss of Bonnie. She will be missed. Our thoughts and prayers are with all of you.